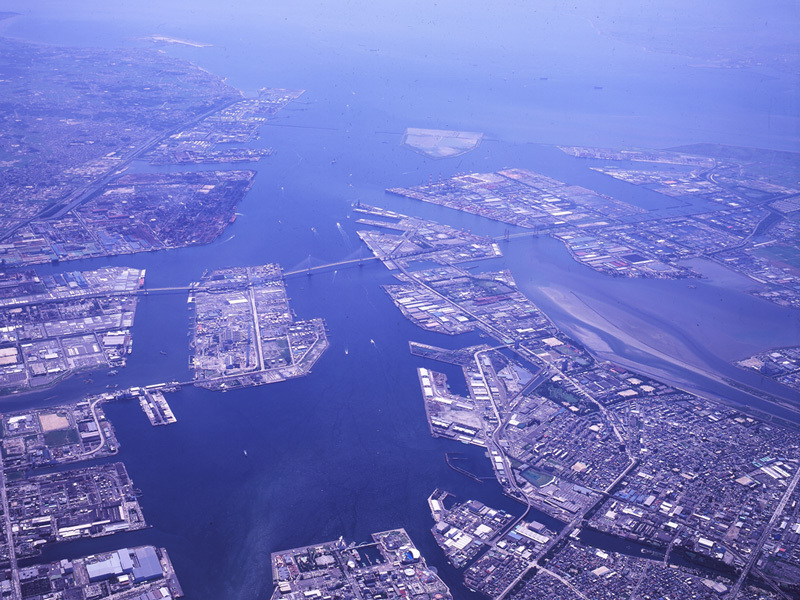 Port of Nagoya extends with facing Nagoya, Tokai City, Chita City, Yatomi City and Tobishima Village. 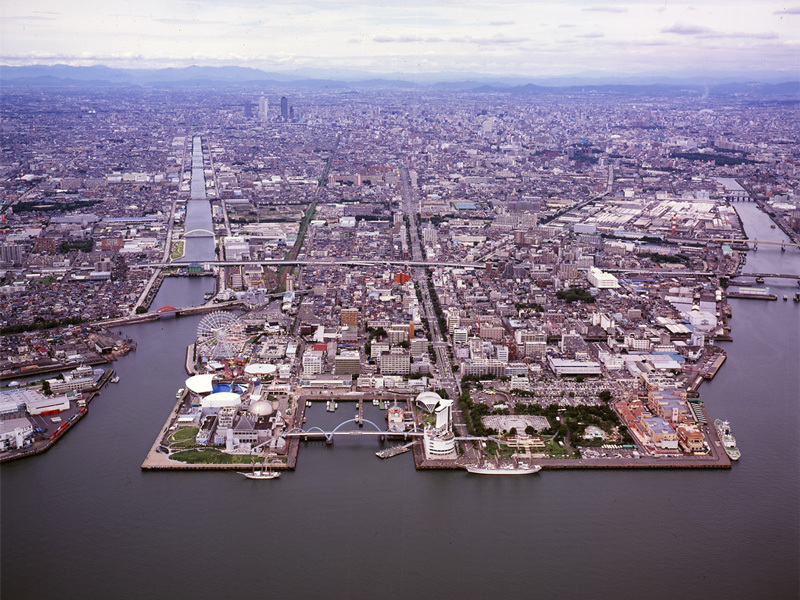 The area of harbor district (land) is the biggest in Japan. It also has the deepest pier (- 16m) in Japan. The volume of cargo handling is 215.60 million tons (2007) and the value of trade is 16.360 trillion yen (2008). Both of them are also Japan's No.1. 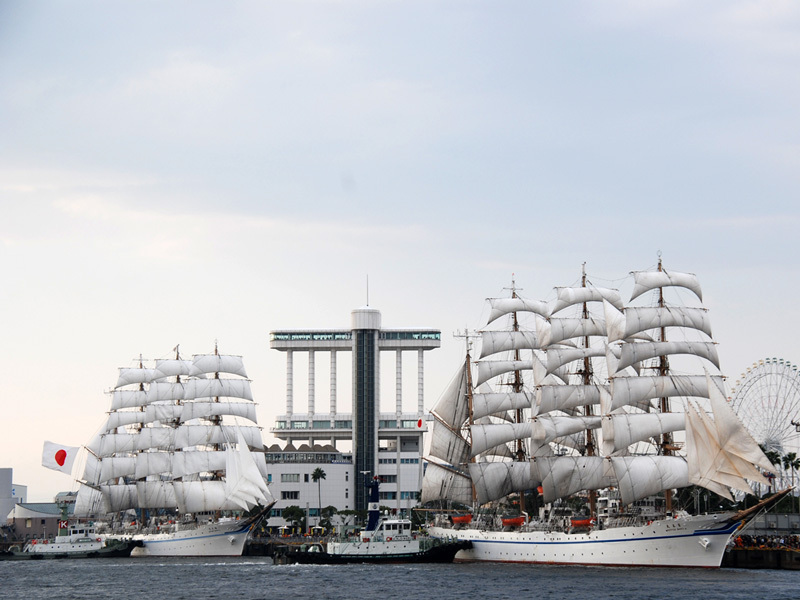 Port of Nagoya (or Nagoya-ko or Meikoh) often means the "Garden Pier" among Nagoya people who want to enjoy the port. There are an aquarium, gardens, shops, etc. Aquarium is one of the popular places in Nagoya. Once you sit on the floor and watch fish in the huge aquarium, your time will pass quickly.